Wondering what special gift to give to someone who writes . . . or wants to? 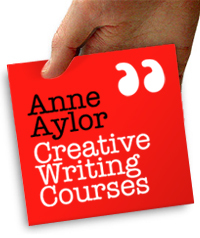 Why not gift a place on one of the writing courses on offer? There are a wide variety of workshops for all levels of ability, from beginners to published authors. More and more of my students are enroled by by their partners, relatives or friends. Perhaps not the gift of a lifetime, but the gift to change a lifetime. Go to Course Dates to see which workshop might be the one. When you book, you'll be sent a gift certificate for that special writer in your life. If you need further guidance on which course might be appropriate, ring 020 7263 0669. By post: Enrolment will be confirmed on receipt of full payment. Bank transfer: To enrol using this method, ring 020 7263 0669 for account details. Online: To use your credit or debit card, you can use the Pay Now button below the description of each course. Please send an email with "Gift" in the subject box. Include your name, address, full postal code, course number and the name of the person you're booking for.